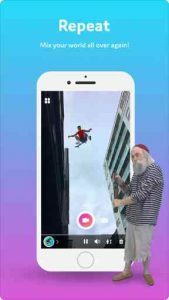 Optimized for iOS 11 with ARKit, Holo is the the first app that lets you move around 3D holograms of people and interact with them as if truly there in real life, giving you an entirely new way to create content and tell stories with personalities you love in AR. EXCLUSIVE to iPhone: New hologram collections featuring German pro footballer and World Cup-winner Jerome Boateng; as well as Glee star and dancer Harry Shum, dancer Chachi Gonzales, and influencer Tristan Tales. Holo also features collections from Spider-Man: Homecoming, celebrated astronaut Buzz Aldrin, Emmy-winning actor Jon Hamm, professional skateboarder Nyjah Huston, pop duo Superfruit, mixed martial artist Anderson Silva, among others. Compatible with iPhone 5s, iPhone 6, iPhone 6 Plus, iPhone 6s, iPhone 6s Plus, iPhone SE, iPhone 7, iPhone 7 Plus, iPhone 8, iPhone 8 Plus, iPhone X, iPhone XS, iPhone XS Max, iPhone XR, iPad Air, iPad Air Wi-Fi + Cellular, iPad mini 2, iPad mini 2 Wi-Fi + Cellular, iPad Air 2, iPad Air 2 Wi-Fi + Cellular, iPad mini 3, iPad mini 3 Wi-Fi + Cellular, iPad mini 4, iPad mini 4 Wi-Fi + Cellular, 12.9-inch iPad Pro, 12.9-inch iPad Pro Wi-Fi + Cellular, 9.7-inch iPad Pro, 9.7-inch iPad Pro Wi-Fi + Cellular, iPad Wi-Fi (5th generation), iPad Wi-Fi + Cellular (5th generation), 12.9-inch iPad Pro (2nd generation), 12.9-inch iPad Pro Wi‑Fi + Cellular (2nd generation), 10.5-inch iPad Pro, 10.5-inch iPad Pro Wi‑Fi + Cellular, iPad (6th generation), iPad Wi-Fi + Cellular (6th generation) and iPod touch.